We approach fall or the unofficial end of summer; it’s a good time to step back assess what is working and what needs to be improved. We face many challenges: mobile technologies the transition to digital not to mentions the need to accomplish more with fewer people using fewer resources. To stay competitive, we must find ways to reduce costs while improving productivity. Therefore it is essential to streamline our business processes and to simplify the work environment. There are many ways to drive process improvements, and the first step for any organization is digitizing paper content. As a result, workflow optimization begins with a fully integrated document capture solution. It is important to understand that document capture is much more than only scanning paper documents and converting those into electronic files. An integrated scan/capture workflow solution will allow your customers to work with paper-based information much more efficiently. 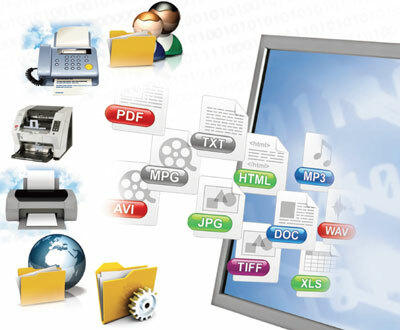 Efficient document capture solution lets users process and manipulates the information captured, keeping it in electronic format so that it can be extracted, edited and manipulated requiring a built-in OCR engine to convert paper into useful data. Users should also have the ability to scan directly into standard office document formats like Microsoft office, or an editable PDF file this making the data more accessible for anyone in the organization. Better yet, it provides employees with the information they need in the proper format for their workflows so that they can manipulate it as needed. It is important to be able to connect your document capture solution into existing front-end and back-end office information systems, such as content management, document management, or document repositories. The best document capture solutions need to be integrated into your MFPs so that these scans are performed with the single touch from the user MFP’s interface. There is an interesting study published by Gartner, the average office worker spends 20 percent of his or her time simply looking for information. Scanning technologies and document management solutions can help reduce paper and even eliminate some paper trails, but real workflow automation begins with capturing the valuable business information trapped in paper.